Your home is one of the most important parts of you and your family's daily lives, and it's important to keep it as comfortable, healthy, and functional as possible at all times. In order to do that, you need to ensure that your plumbing, heating, and air conditioning systems are all effective and efficient. At Cooper's Inc., we understand what a huge role these systems play in your daily life, so we strive to provide you with the highest quality workmanship and customer service possible at every job that we perform. This is part of why we are the most trusted plumber, air conditioning and heating contractor in the Topeka area. Our plumbers, heating and air conditioning contractors all licensed professionals with extensive training and experience, so no matter what kinds of services you need, you can rely on us for great work. We'll always be ready and eager to tackle the job, and we'll do whatever it takes to make sure that you're completely satisfied with all of the work we perform. We've been working with homeowners in Topeka and the surrounding areas since 1986, and over the years, we've developed a strong reputation by consistently providing with excellent service. We work hard to ensure that our clients' homes are kept in excellent shape, and we always perform services promptly and professionally. Give us a call today to schedule your appointment for service, or to ask any questions you have about the services we provide, and we'll be looking forward to working with you. Any problems with your plumbing system can turn your home into an uncomfortable and unsanitary place. When you have any trouble with any part of your plumbing system, you need professional repairs performed as soon as possible. At Cooper's Inc., we have expert plumbers available at all times to help you ensure that your home's plumbing system is always in great shape. You can count on us for all types of plumbing services you may need, from leaky pipe repairs to drain cleaning and new plumbing fixture installations. When you have any problems with your plumbing system, our experienced plumbing services team will be able to accurately diagnose and thoroughly repair them. We'll always be certain that we're attacking the problems at their source, rather than simply treating the most obvious symptoms. Our plumbers will be able to guarantee that every part of your plumbing system is able to work effectively. Your air conditioner needs to be kept in great shape so that it's always able to keep your home cool and your energy costs low. Your air conditioner needs to be both effective and efficient at all times, and at Cooper's Inc., we can help you ensure that it is. 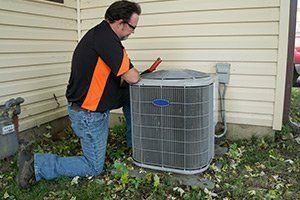 Our professional air conditioning experts offer installation, maintenance, and repair services for air conditioners of all kinds, and we'll be able to guarantee that your AC will be able to provide you with the comfort that you depend on your home for. When you encounter any problems with your air conditioner, it's important to have them repaired as soon as possible. Our professionals will always be able to accurately determine the cause of these problems in order to provide you with the most thorough repairs possible, and we'll do so promptly and professionally. We're also available 24/7 for any emergency air conditioning repairs you may need. When the winter months reach their lowest temperatures, your heating system is an extremely important part of your home. Not only does it keep your ho me comfortable, but it also keeps you and your family safe and healthy when temperatures are dangerously low. It's important that you know you'll always be able to rely on your heating system throughout the colder parts of the year. We can also offer heating installations, replacements, and tune-ups. No matter what kinds of heating services you need, you can rely on our experts for excellent workmanship and professional customer service. We'll be able to keep your heating system in great shape, and we'll guarantee your satisfaction with all of the work that we perform. 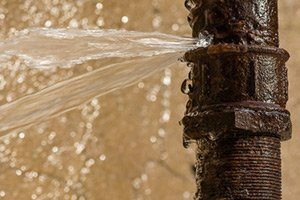 Any leaks in your pipes can be detrimental to the health of your plumbing system, and they can cause damage to many other parts of your home. 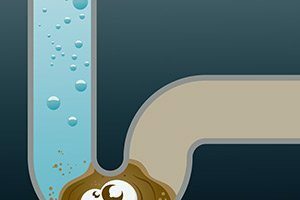 Plumbing leaks are often very difficult to find, and they can do a lot of damage before homeowners realize that they're a problem at all. Our professional plumbers can help you determine the precise location of any leaks in your plumbing system's pipes and perform excellent repairs. We'll make sure that every part of your plumbing system is kept in great shape. Your sewer and water lines are an extremely important part of your home, and when you have any problems with them, it's important that you're able to have them repaired as soon as possible, and as accurately as possible. Our plumbers utilize state-of-the-art technology to perform video inspections of your sewer lines, which allows to accurately pinpoint any and all problems with the lines. We'll be able to guarantee the most thorough and accurate repairs possible after our video inspections are complete, and we'll do whatever it takes to make sure that your sewer lines are in the best condition possible before our work is complete. Your drains are what connect every part of your plumbing system together, so they need to be clean and clear-flowing in order for your plumbing system to operate well and efficiently. At Cooper's Inc., our plumbers offer high quality sewer and drain cleaning services to help ensure that every part of your plumbing system is able to function optimally. 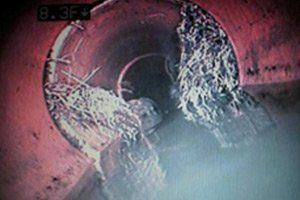 We'll be able to thoroughly eliminate any kinds of clogs, blockages, or build-ups so that your sewers and drains are completely clean, clear, and free-flowing. Keeping your heating and air conditioning systems in great shape is an extremely important part of keeping your home comfortable and your energy costs low. 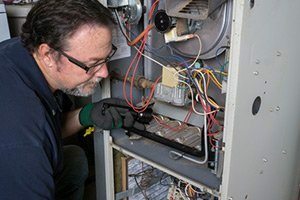 It's very important that your heating and cooling systems receive the care and maintenance that they need in order to stay as effective and efficient as possible. Our heating and air contractors can work with you to design a service plan for your home's heating and air conditioning systems, and our service agreements will ensure that your HVAC system always gets the care that it needs. We'll work with you directly to customize your service agreement On top of that, you'll receive priority service from our professionals, as well as service discounts. One of the most important parts of any kind of property is its plumbing. When you're building a new construction, you need to know that its plumbing system and all of its fixtures will be totally functional and reliable. 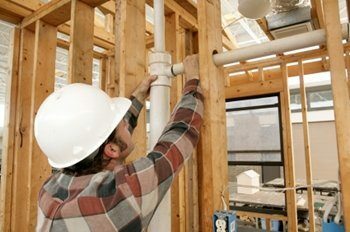 Our professional plumbers can work with you to design the perfect plumbing system for any new construction, and we can ensure that it's perfectly installed. If you're remodeling any part of your home, we can also help you alter or re-design the plumbing system in order to ensure that all of your new features are able to work well. We'll be able to guarantee that your new remodeling project is totally successful. 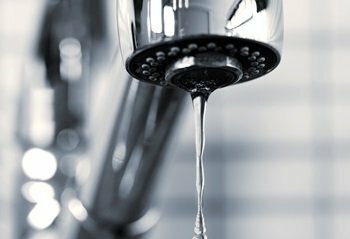 Your entire plumbing system exists to make use that your plumbing fixtures work properly. From your showers and sinks to to you water heater, you need all of your plumbing fixtures to be kept in excellent condition at all time. If you encounter any problems with the plumbing fixtures in your home, our plumbers will be able to perform professional repairs to get them back into excellent condition. If your plumbing fixtures cannot be repaired, we'll be able to work with you to choose new fixtures and complete every aspect of the replacement. At Cooper's Inc., we know that you rely on your home every day for comfort, convenience, and cleanliness, so we strive to provide you with high quality services that help you maintain those qualities of your home. Our professional plumbers have extensive training and experience, and we'll always be able to guarantee the highest quality workmanship possible at every job that we perform. We've been working with homeowners in the Topeka area since 1986, and we look forward to adding you to a long list of satisfied clients. Our plumbing, heating, and air conditioning services are designed to help you keep your home as comfortable and convenient as possible at all times. We offer a wide variety of services, all of which will always be performed by qualified professionals. We'll do whatever it takes to keep these parts of your home in great condition, and we'll always guarantee your complete satisfaction with our work. 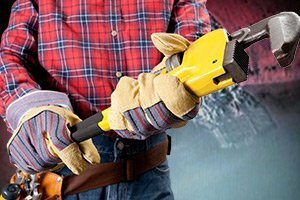 All of our expert plumbers and heating and air contractors are dedicated to providing not only high quality workmanship, but also excellent customer service. We work hard to maintain direct lines of communication with our clients and ensure that they're getting everything they need from the services that we provide. Your plumbing, heating, and air conditioning systems are important to your daily life, but you're no expert on them. Whether you're looking for ways to keep your heating and cooling systems efficient or you're wondering if it's time to replace your water heater, our blog can be a valuable resource to you. Check out our recent articles to find helpful tips for keeping these parts of your home in great shape, and don't hesitate to contact us to ask any questions you have about the services we provide. No matter what kinds of services you need from out team of experts, we'll always be able to guarantee high quality workmanship, and we'll do whatever it takes to make sure that you're satisfied with our work. Our services are designed to help you keep your home in great shape, and that's our number one goal. Whether you need regular maintenance, in-depth repairs, or emergency service, you can always depend on us to get the job done well. Call us today to schedule your appointment for service, or to ask any questions you have about our services, and we'll be looking forward to working with you. If you are looking for a Topeka plumber, air conditioning or heating contractor then please call 785-267-4100 or complete our online request form.